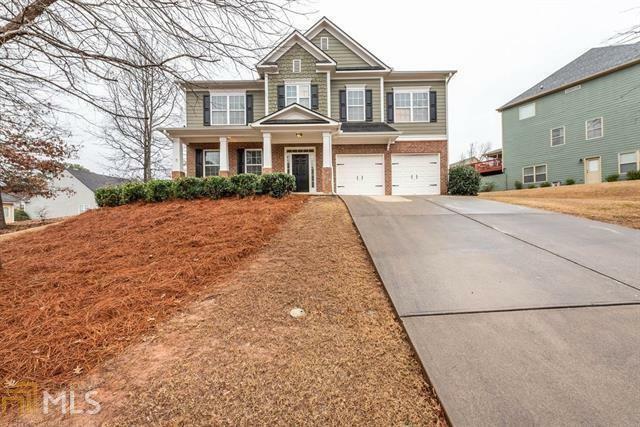 Beautiful 4 bedroom home in family friendly neighborhood! Large open floor plan features an office area, large dining room, spacious kitchen & living area. Spacious kitchen w stainless appliances & center island. Amazing accent wall in living room. Second floor has huge loft area. Grand master suite w sitting area & walk in closet. Master bath features garden tub, separate shower, & double vanity. 3 more spacious bedrooms plus large bathroom. This backyard is true oasis! Custom build outdoor fireplace & sitting area will make you feel like you're on vacation! Directions: 575 N To Exit 9. Right Off Ramp, Left At Hwy 5, Right Onto East Cherokee, Left Onto Highlands Drive (Arbor View Entrance). Home Is On Left In Back Section Of Neighborhood.